Admittedly, this controversy occurred three years ago and may no longer be as relevant, but many Canadians (even academics!) still remain confused (or harbour resentment) regarding Prime Minister Harper’s advice to dissolve the 39th Parliament of 7 September 2008. 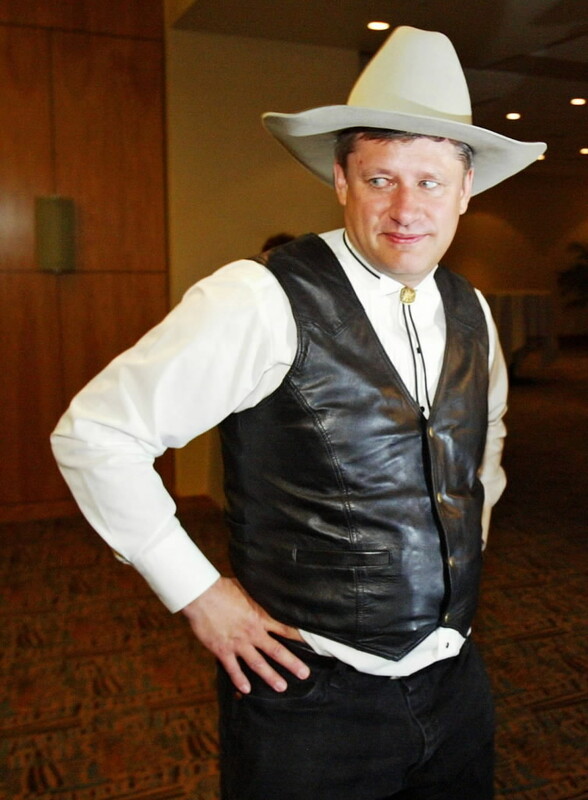 In short, PM Harper most certainly did not break his own law, as so many pundits and opposition MPs claimed at the time, though it is true that he did not conform to the spirit of the law. While courts may take into account parliamentary debate on how the law ought to be applied, that debate on a law cannot supersede the text of the law itself. The Harper government’s amendment to the Canada Elections Act responded to this context of a powerful prime minister in a majority parliament, in which the prime minister alone wields effective control of the timing of dissolution, in contrast to a hung parliament, where the House could withdraw its confidence at any time. During the 39th Parliament, the Harper government introduced a bill to amend the Canada Elections Act in order to provide for fixed elections on the third Monday in October every four years after the previous election. The bill passed. Section 56.1, however, preserves the governor general’s powers on dissolution, because any change to the offices of the queen or governor general requires the unanimous consent of all provincial legislatures and the federal parliament, as per the Constitution Act, 1982. It says: “Nothing in this section affects the powers of the Governor General, including the power to dissolve Parliament at the Governor General’s discretion.” The constitutional conventions of responsible government mean that the prime minister alone advises the governor general on summoning, proroguing, and dissolving parliament, and that powers essentially reside with him. While the governor general retains some personal discretion in the form of the reserve powers on dissolution (though not on the summoning and prorogation of parliament), the exercise of the reserve powers to reject a prime minister’s advice to dissolve is distinct from the initial proffering of that advice. The governor general absolutely cannot independently dissolve parliament without any input from the prime minister or cabinet because William III relinquished the independent royal power on dissolution in 1694 as part of Westminster’s consolidation of the Glorious Revolution and the modern constitutional settlement. Therefore, the insertion of this language into the Canada Elections Act, though necessary in order to avoid constitutional problems, rendered the fixed-elections provisions almost useless: these provisions limit only the power of a prime minister who feels morally or politically bound to follow them, rather than limiting the powers of the offices of prime minister or governor general. In a majority parliament, most prime ministers would abide by section 56 of the Canada Elections Act, particularly because political expediency would compel them to follow it; however, the political considerations of a minority parliament are altogether different, focussing on the short-term and the tactical, and the inherent difficulty of passing government legislation. Harper himself even retroactively stated that section 56.1 only worked properly in a majority parliament, and he thought that he was merely pre-empting a withdrawal of confidence that would likely have taken place in the fall of 2008. When Prime Minister Harper advised Governor General Michaelle Jean to dissolve the 39th Parliament on 7 September 2008, for the election to occur on 14 October 2008, the Harper government indisputably commanded the confidence of the House of Commons. The conventions of responsible government stipulate that when a prime minister’s government commands the confidence of the House of Commons, the governor general must carry out his advice, because the reserve powers that allow the governor general to reject prime ministerial advice only apply when the government has lost the formal confidence of the House, or under other “exceptional circumstances”. 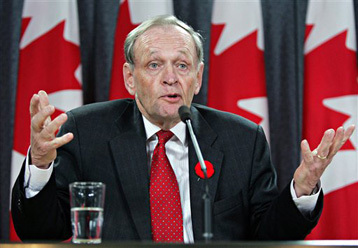 That Harper acted in bad faith or broke the spirit of section 56, or even contradicted some of his own statements in the House, most certainly did not meet the threshold of most exceptional circumstances; therefore, the governor general was bound to carry out the prime minister’s advice. The Fixed-Term Parliaments Bill currently before Westminster, and fixed elections in Canada and the provinces will make the issue remain pertinent in the UK and Canada for a while yet. (The British bill proposes a much more radical approach, however. More on that later). Incidentally, the Canadian terminology of “fixed elections” differs from the British “fixed parliaments” and reveals a significant difference of focus. I prefer the British term because it implicitly acknowledges that ultimately the House of Commons provides the government its legitimate authority to govern, and once the term of the parliament expires by the “efflux of time” (the formal, legal term) after five years. In contrast, the Canadian idea of “fixed elections” draws attention to the government and the prime minister’s role in advising the governor general to dissolve parliament; the term probably comes from the influence of the American system and its fixed biannual and quadrennial elections. I find the nature of this law unusual. As I mentioned above, section 56 only limits the prerogative powers of a prime minister who considers the provision binding, because it clearly avoids changing the powers of the governor general in order to avoid a constitutional amendment. But therein lies the problem: section 56 attempts to alter an aspect of crown prerogative so fundamental that any real, binding change would necessitate a constitutional amendment. This new provision could not open up the constitution. So in effect, section 56 as a law attempts to force the establishment of a new constitutional convention, whereby the prime minister would only advise dissolution if the House of Commons withdrew its confidence in his government. But can law create convention? Certainly, conventions can develop in order to fill gaps in or act as political interpretations of law. But a law cannot establish a convention per se, for conventions by nature are unwritten; any convention written into statute ceases to be convention and becomes codified. In general, I’m undecided on the normative value and desirability of fixed elections. On the one hand, they bring stability under majority parliaments and can establish a reliable periodicity. But on the other hand, minority parliament exposes the significant shortcomings of the Canadian model of fixed elections and that they make a mockery of responsible government – that the House of Commons empowers the government to govern – and seem like an inappropriate attempt to graft American methods onto the Westminster system. For instance, Canadians often incorrectly talk of prime ministers and premiers seeking “a second term” or a “third term.” Nonsense! Dalton McGuinty of Ontario is not seeking a “third term” as Premier of Ontario, but rather a third consecutive parliament in which the Liberals hold a majority of seats. Canada is now on its 40th Parliament but only its 28th ministry, as this webpage of the Privy Council Office shows, precisely because a prime minister’s “term” in fact refers to the number of consecutive years of presiding over cabinet as prime minister. Prime Minister Trudeau served two terms as Prime Minister, 1968 to 1979 and then 1980 to 1984, despite leading the Liberal party to five electoral victories. Prime Minister Harper has served only one “term” but through three parliaments. So in my future posts, I will use the more accurate British parlance. And here’s something to ponder: if Ontarians elect another majority government this fall 2011, then the next provincial election will coincide with the next federal election in October 2015. What would happen then? Surely, Canada and Ontario can’t hold their election campaigns simultaneously.